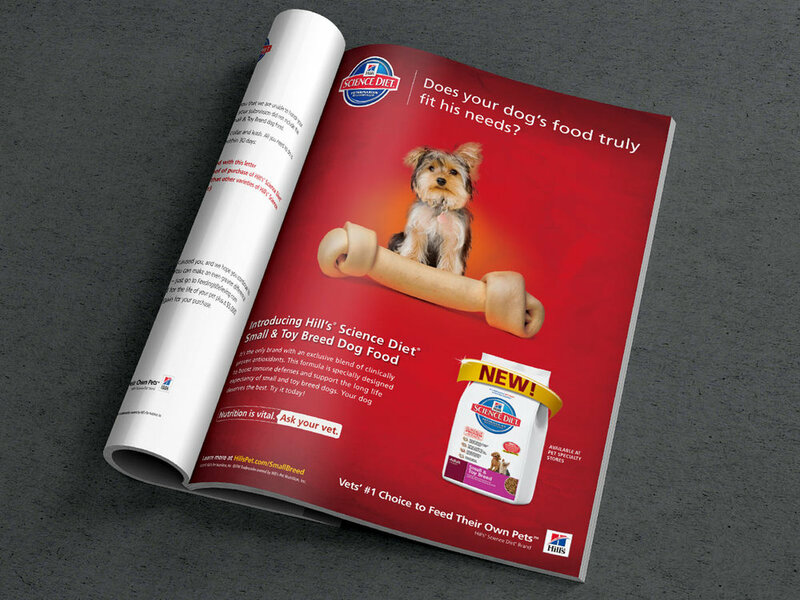 Hill's Pet Nutrition launched a new line extension range under the Science Diet brand and needed a fully integrated marketing plan to support the launch. Developed and executed a launch campaign that effectively recruited new users to the franchise and minimized cannibalization. Dogs have always been part of the family in America. Every movie included a family dog, and it was usually a Yellow Retriever or a Labrador Retriever. But macro-trends in America was changing this picture of dog ownership. Baby boomers and millennials are the two biggest demographic groups in America. Together, they represents a significant share of spending. And what they were looking for in a pet was changing. For the aging baby boomers, a large dog was starting to prove to be physically challenging to handle. For the apartment dwelling millennials, a large dog simply wouldn't fit. Over the past decade, popularity of tiny dogs continued to increase. This trend was changing the pet food industry. Small dogs weight less. They have different physical requirements. Naturally, their owners wanted a dog food that is specially tailored to fit a small dog's nutritional needs. Observing this changing dynamics in the marketplace, pet food manufacturers started developing specialized dog food. Hill's Pet Nutrition finally launched a range of line extension specifically designed for small & toy breed dogs, under its popular Science Diet brand. However, they were the last-to-market among the leading pet food manufacturers. Therefore, to make the launch successful, Hill's needed an impactful launch campaign. Traditional Media: Digital, print, and shopper tactics were employed to quickly raise awareness and to gain retail support. Social Media: Understanding this segment's digital habits, a social media campaign was developed - at the time, a first for Hill's Pet Nutrition. Influencers: In order to target this segment, in order to minimize cannibalization, influencers with existing audience in this segment were the perfect partners. The American Kennel Club (AKC) had long held breed specific events. A sponsorship of the small breed specific event was a great way to reach this audience. At the time, Hill's had no sponsorship arrangement with the AKC, but a partnership was quickly formed. In addition, celebrities with small dogs also were recruited to help spread the word for this new product. As the result of this launch campaign, the brand attracted new users to the franchise - appealing to this growing group of dog owners who love small dogs.